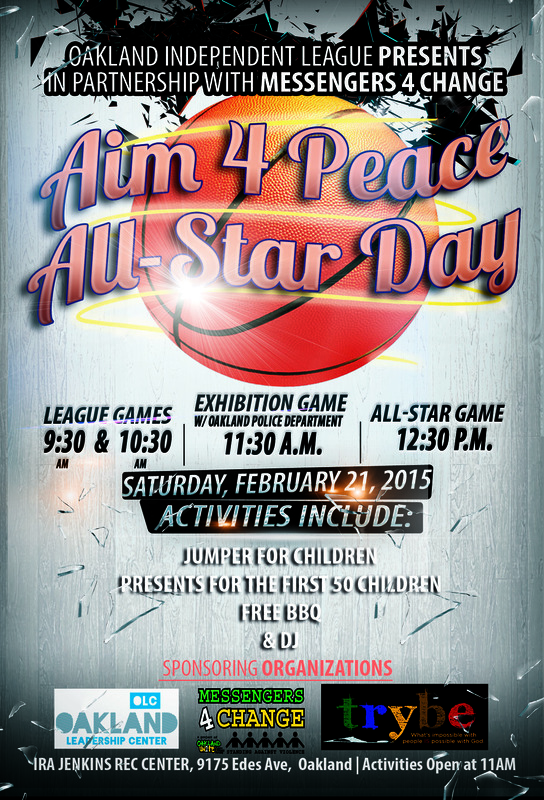 Saturday, February 21st, Messengers4Change is partnering with the Oakland Leadership Center to host the “Aim 4 Peace All-Star Day.” Activities start at 11:00am with an exhibition basketball game with the Oakland Police Department at 11:30am. The event will take place at the Ira Jenkins Recreation Center at 9175 Edes Ave. in Oakland, and include a jumper for children, presents for the first fifty kids to come to the event, free barbeque and a DJ. 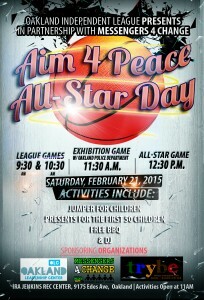 Come out, watch some basketball, enjoy some food, and participate in the important community event.